to see a film that is exposing this very important topic. Not disproven...to the contrary, quite proven. With all the astroturf, gaslighting, and "authoritative" (captured, as in bought) large media influence on the first few pages of Google, no one without a well researched understanding of how the body really works would be able to take this subject seriously. Propaganda trumps science as we have seen for ages now. The only freedom is knowing that large mob mentality, group thought is based on social engineering. Oh and yes, root canals and other forms of oral pathology can affect hair. Re: Movie Review - "Root Cause"
I haven't heard of it before but I will try to look for it online and watch it on weekends. Thanks for the movie suggestion. I wouldn't be surprised. Studies in the past and some very recent ones suggest that gingivitis bacteria can get into the brain and cause dementia years down the road. Maybe we should be sipping a bit of listerine? shaftless wrote: I wouldn't be surprised. Studies in the past and some very recent ones suggest that gingivitis bacteria can get into the brain and cause dementia years down the road. Maybe we should be sipping a bit of listerine? Unfortunately, using Listerine will never resolve the issue, if oral pathology is the cause. The reason is because the immune system cannot reach these types of infections. I've avoided this subject because of the depth, however this movie does a great job explaining it. Also there is new technology available, (only 5% of dentist have it) so one can detect if an issue exists. I was happy to see the film covered implants, cavitations and root canals. The only thing missing (and this is perhaps more esoteric, but still incredibly undetected) is morphologically sound tonsils, but pathologically ruined. Bad tonsils can cause infections just as bad as root canals given enough time. I watched the movie with someone a month or so ago and the person was shocked at what they learned. They asked me if it wastrue and I kept saying yes. I use to talk about dr nordquist and his book the silent saboteur. Probably one of the best books and information regarding health. He has a couple youtube channels. Basically showing someone with say type ii diabetes, heart disease, alzheimers, dementia, etc where they all have huge amount of spirochetes found within the pockets, where the guns meet the teeth. So something occured after wwii where everyone after is now infected. Biowarfare use is one possible contributor to the spread. He basically finds everyone with these just a smaller amount. However a good percent of very old from wwii generation interestingly have zero spirochetes and they are in good health relatively speaking considering their advancing age. He recommends dakins solution in a water pic which is about the only thing to get rid of the spirochetes. Dakins is basically just small percent of bleach in water. Problem being is it’s very drying to the mouth. I’ve experimented with occasional use of other methods before and they hold promise but really need a dark field microscope to confirm other methods. I’ve used listerine, holds promise but bleach works much better. To get the spirochetes out iof the brain there is something called glymphatic system. Sleep helps activate it and I’ve theorized certain frequencies as well. Further one can stun the spirochetes but not kill them with powerful pemf device called doug coil. Then after enough years body is able slowly able to remove them from body. Herx reactions are unbareable however for some heavily infected so not solution for most people heavily infected except for those desperate. But then still need to treat the prion issues for many people and to do that need anti virals and another reason why people are confused in all this. Hi Cs, about the technology, do you mean a CBCT scan or a cavitat scan? About the tonsils, cryotherapy is the best. 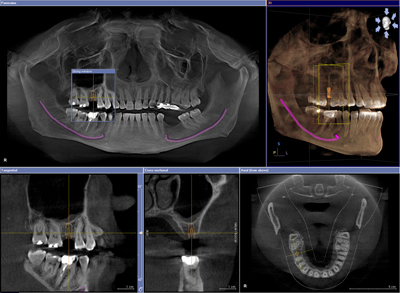 Chris2211 wrote: Hi Cs, about the technology, do you mean a CBCT scan or a cavitat scan? If root canals cannot be immediately removed, what is the best approach to minimizing the damage caused? Could daily oil pulling have any benefit, or maybe there are some supplements that could circumvent the health problems. I have a relative who has root canals but for logistical reasons they cannot be removed right away. It might also be difficult to convince them that the root canals are a problem. I have had impacted wisdom teeth for close to a decade and infections occur periodically. I still seem to be in generally good health, but I follow the same strict diet and supplement regimen that has kept hair loss under control over the years. Is the damage caused by bacteria in a condition like chronic tooth infection similar to what would be caused by root canal? If yes, then I would say that following a good health regimen could somewhat offset the negative effects of the root canals. There are some odd methodsto “help” with cavitations for those unableto gettgem cleaned out. Like LLLT, PEMF, super Zappicator, etc.. note cavitations are an extreme problem that not even best supplement regimen can address. I suspect the calcium therapy is helping. Further it works great for whitenning teeth, eliminating bleeding gums, infections, etc.. Instead of buying their calcium product I actually use IP6 which contains, calcium, magnesium, etc and I’m guessing works as well as straight calcium. I think long term calcium therapy might be legit for cavitations. I reccommend. Definetely worksfor eliminating general infections. I haven't heard it before it sounds like an interesting film. imprisoned-radical - Would watch this film and it will address it I believe. It is quite a mouthful to explain how these types of infections can effect systemic health. I've explained it for years, yet to see it in a documentary does a much better job. Also many people have a trouble digesting its real effect. Certain one could have dental infections and be healthy, so the idea here is to know are they bad enough and to utilize one or more of the interventions. Just a note. The film does not cover every imaginable circumstance to be sure. So it may leave some questions. Not covered in the film (tonsils that are infected)...3D cone beam can pick that up. However, there will some dental infections not even seen on this special xray, so then that leaves energetic testing and enzyme assays. Imagine if on an enzyme inhibition test, the krebs cycle (energy producing enzymes are depleted by 70% or more)...that's a pretty good reason to address the site of infection, otherwise whatever measures are being taken will be futile. Another chance is using and ozonated oil for regular teeth care - works well via pulling, gargling and you can apply it on the problematic area under the gum, if you heat it to make it less viscous so it will move more easily. How much you use? it depends of the potency, usually 1mm^3 is enough to clean the teeth. For olive oil ozonides the rule applies: the more the liquid is gelly and transparent, the more the potent it is.